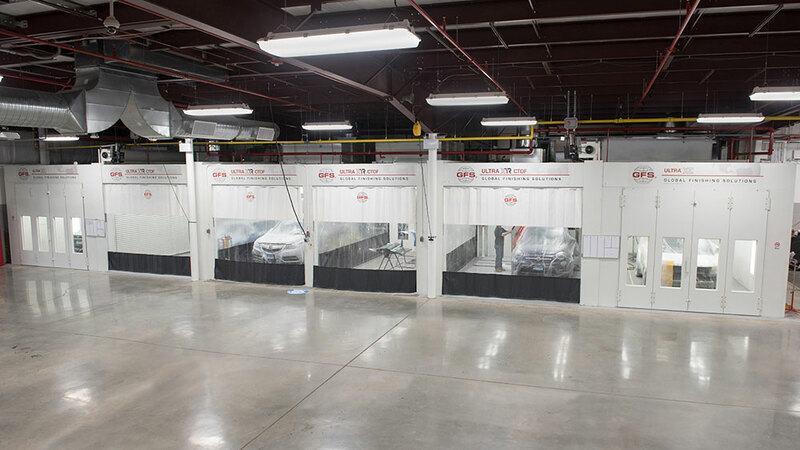 Designed for high-volume body shops and collision repair centers, Side-Load Finishing Systems from Global Finishing Solutions® (GFS) improve productivity and maximize shop space. Vehicles move quickly and easily between work bays on its integrated track and dolly system. Side-Load Systems will be customized to your shop’s layout and production needs. For increased efficiency, we can design your Side-Load System with extended tracks outside of the paint booths and prep environments. 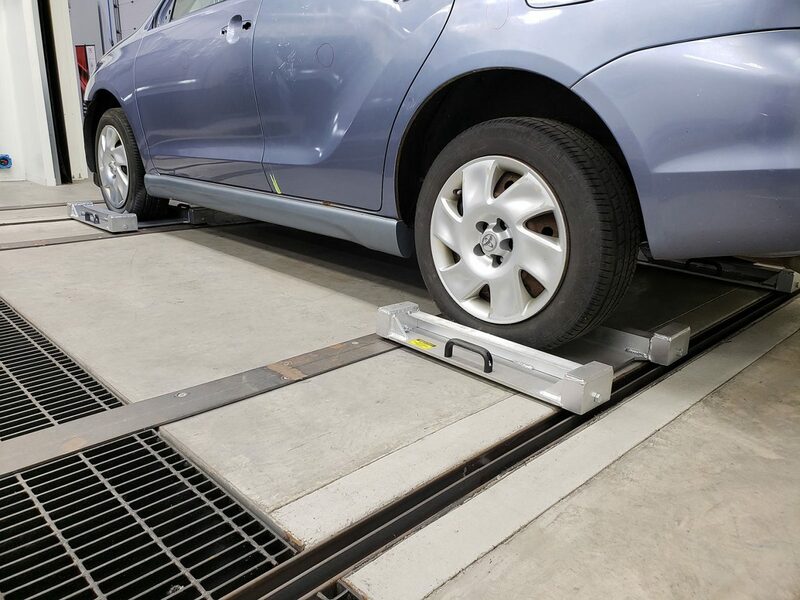 By eliminating the need to drive the vehicles into the Side-Load System, this design allows vehicles to be fully taped before entering the booth or prep environment, saving up to 15 minutes per cycle. 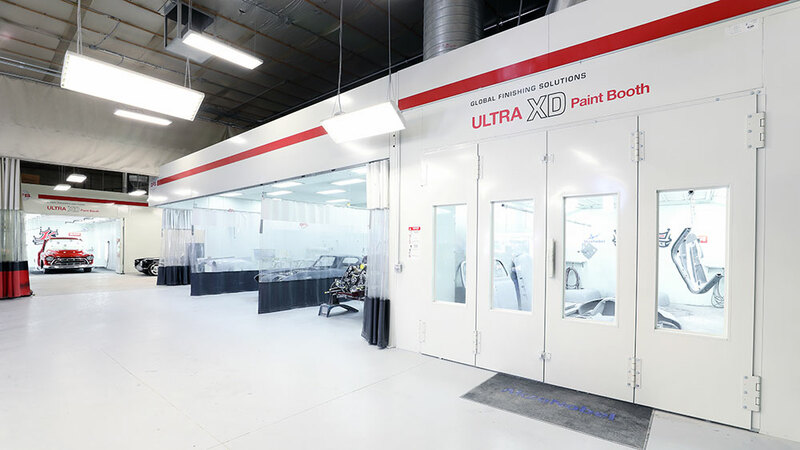 GFS’ Ultra® Paint Booths, Ultra Closed-Top Open-Front (CTOF) Booths and Aluminum Repair Stations can be incorporated seamlessly into a Side-Load System. 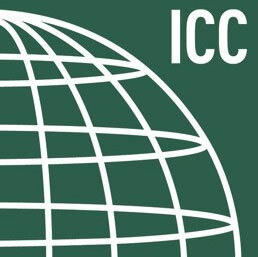 Choose between an in-floor rail system, which eliminates tripping hazards, or an above-ground rail system, which does not require concrete work. Available in 10-foot sections, both track systems are capable of being extended to any length. The standard dolly is designed to withstand loads of up to 2,000 pounds per tire, while the optional heavy-duty dolly can withstand up to 4,000 pounds per tire and accommodates wide tires. RollSeal Doors control contamination and airflow between bays, using a triple-layered fabric and airtight seal to prevent overspray from escaping the booth. Air between layers of the fabric helps maintain desired heat levels inside the booth to meet cure temperature requirements. RollSeal’s fabric doors are impact-resistant; however, if they are punctured or damaged, they can be easily repaired or replaced at a fraction of the cost of a metal roll-up door. With fewer moving parts than traditional roll-up doors, less time and money is spent replacing rollers, tracks, panels and hinges. 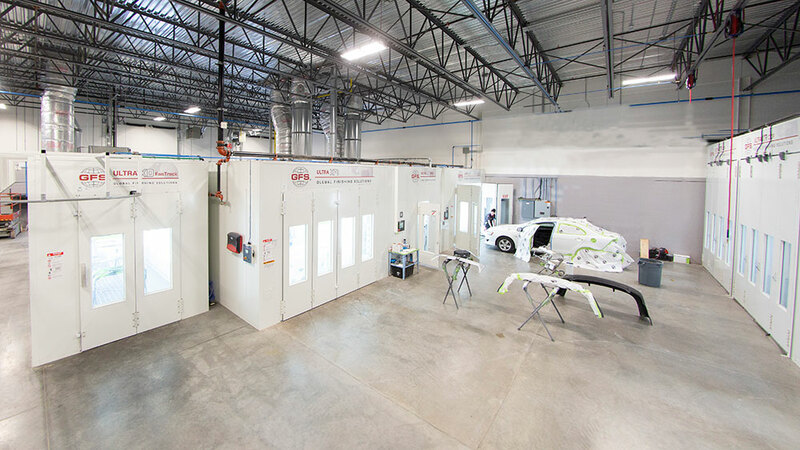 GFS Side-Load Systems are designed to accommodate our premium paint booths and prep environments — including Ultra Paint Booths, Ultra CTOF Booths and Aluminum Repair Stations. 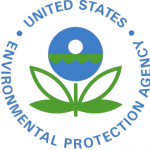 With superior lighting, industry-leading controls, excellent airflow and advanced contamination control, Ultra Paint Booths enable shops to achieve high-quality paint finishes. 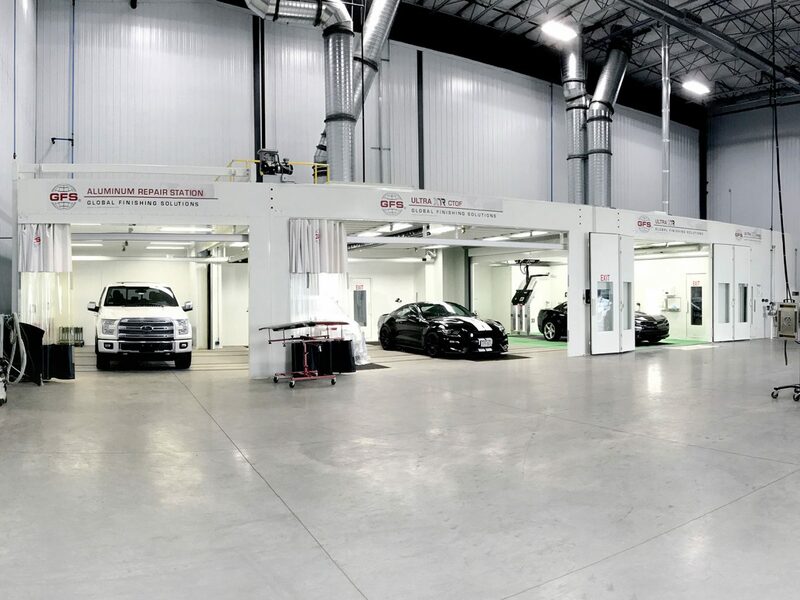 The versatile, high-performance Ultra CTOF Booth allows vehicles to be filled, primed, sealed, painted and cured in one location. 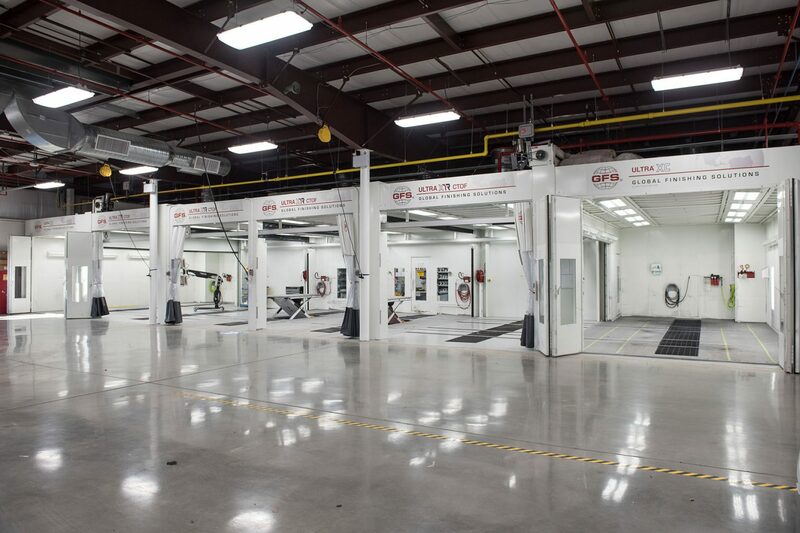 For safe, efficient isolation of repairs on aluminum-body vehicles, shops can integrate an Aluminum Repair Station into their Side-Load System. 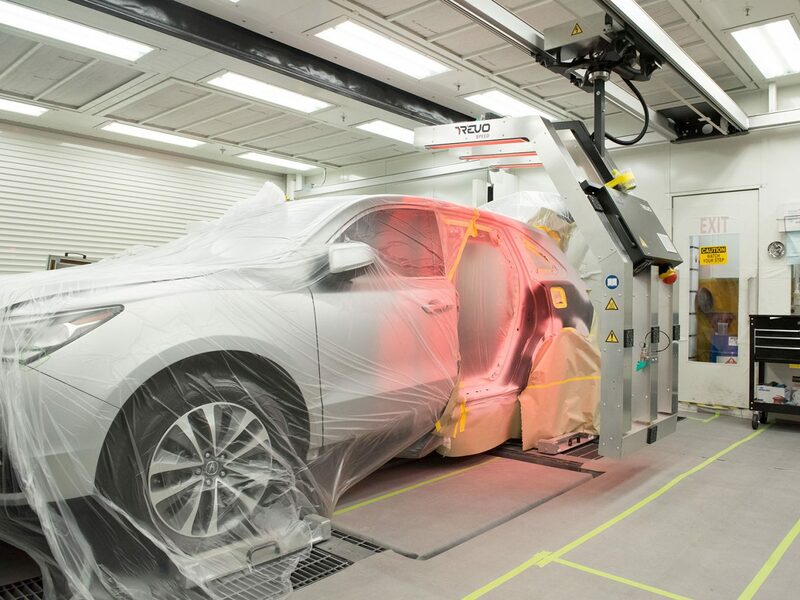 An ideal complement to Side-Load Systems, REVO Accelerated Curing Systems can increase your paint shop throughput by up to 80 percent. Integrated seamlessly into the ceiling of the paint booth or prep environment in the Side-Load System, REVO Speed or Rapid units can be easily positioned and moved between bays for increased efficiency. 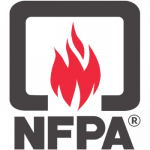 The innovative short wave electric infrared technology cures filler and coatings quickly from the inside out, offering the fastest curing time in the industry for both prep and paint processes. Repair cycle time is shortened and rework is significantly reduced thanks to the high-quality, complete cure REVO Systems always deliver. Want to learn more about side-load finishing systems?